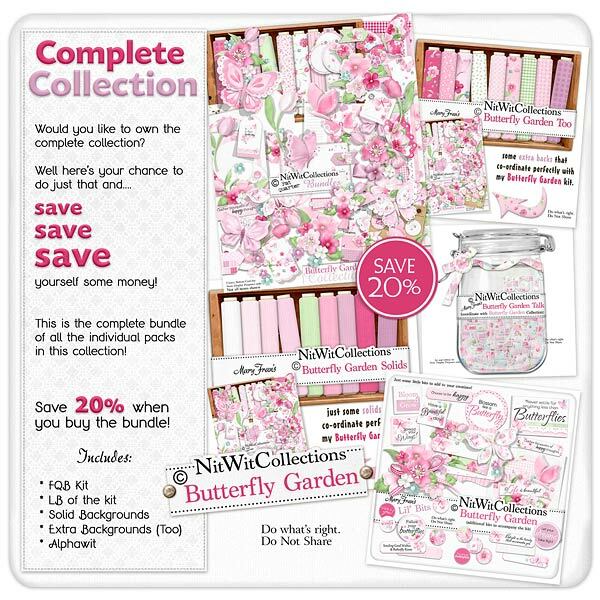 Bundled "Butterfly Garden" Collection takes you to a place of soft tranquility! The beautiful colours, the flowers and of course the butterflies of this digital scrapbook and card making kit will be sure to get ideas floating from place to place. We know that the obvious elements will catch your eye but we don't want you to miss the pretty journal cards, the photo mats and the tags that are all so equally graceful and useful! A cottage chic digital kit that you can create with again and again....so don't wait....you have lots to do!